Brad Marshland has stories to tell. Some of them are even true. Brad’s original work includes the Emmy® Award-winning documentary The Next Frontier and its sequel We’ve Got The Power. 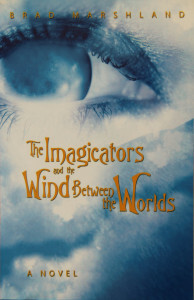 He has sold screenplays in Hollywood, had stage plays produced on both coasts, and is the author of the fantasy novels The Imagicators and its sequel, The Imagicators and the Wind Between the Worlds. Brad’s work-for-hire includes countless commercial and PR pieces for clients ranging from regional non-profits to multi-billion-dollar, multinational corporations. Brad has also written extensively for Yahoo News, Let’s Go: California (St. Martin’s Press), and – back in the day – YourDoctor.com and FinancialCafe.com. Science education work includes videos for Lawrence Hall of Science, UC Berkeley, SEPUP (Science Education for Public Understanding), and the HyRoad Learning Center. With an eye for character, theme and structure, Brad Marshland consults for individual writers and directors, as well as for production companies. Brad works as Story Editor at every stage of development – from concept through production to editorial supervision. He has taught at Feature Workshops and guest lectured at UC Berkeley. Brad offers in-depth, detailed analysis on both scripts and prose. Under Brad’s tutelage, clients’ scripts have been bought and produced by Showtime, Norman Lear, Milos Forman and Sidney Poitier. For more information, just click the contact button above. 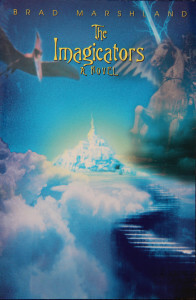 The fantasy novel The Imagicators tells of a world imagined so completely, down to the last grain of sand, that it became. Now, eighty years after a girl from our world first imagicated the world of Windemere, Windemere is crumbling. The King and Queen have separated, and the civil war rages between their forces. This chaos mirrors the turmoil in the lives of Spenser and Elaine, two youngsters from our world who are drawn into Windemere to uncover the cause of the rift, vanquish the usurper who thrives on the anarchy, and restore the balance. To do so, Spenser and Elaine must discover their own power to imagicate.